I was talking to the lovely Sara Bobkoff recently about value and pricing and finding your authentic voice among other things. I always appreciate the skill of a good coach; and the true value of a great coach is one who keeps you thinking well after the conversation has ended. Over the years I have been coaching I have tried to be true to my own values and beliefs, and I know when I communicate I am speaking from my heart. But I realise I have been remiss on a few important points and it’s time to put the record straight. Sometimes it is important to consider what you don’t say. I may feel that certain of my values are clear, that they don’t need to be verbalised. But I have realised that it’s time to these spell out. You are out there, but its hard to pin you down; what I do know is that whether you are a company director or a recent graduate I will work with you in exactly the same way to help you achieve your desire to maximise your potential. Should I come to your home, I would be as comfortable on your sofa in your student apartment, as I am at your desk in your office overlooking the Vondel Park. Whether you live in a town house or a studio you all have one thing in common; if it is in Amsterdam it will be overpriced and you will have been overcharged. Whether you come to me on the verge of tears or you want to “talk business” whatever you share with me will be received in complete confidence. Free reports, weekly newsletters, targeted mailshots. Its all stuff I have done in the past. But truth be told I don’t like receiving emails several times a week congratulating me on signing up for a program, so I decided a while ago I would stop using these methods of list building. On the other hand my network (that’s you, if you are reading this) is vibrant and constantly growing, both on and offline. And like all networks I don’t own it, I don’t own you. As part of my network you may be contacted by someone else in my network, if this becomes irritating to you, you may leave my network, or block me or unfriend me at any time. This is the crucial point. Working with me is an investment, in time and money. I don’t work for nothing and I don’t do a skills swap. I do have bills to pay, (and a horse to feed) so I have to be sensible. 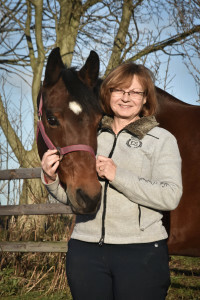 I do offer a free discovery session, and discount on an introductory session to equine assisted coaching. My packages are flexible, we will be able to work together. You will not see me pressuring you to “pay today and get a better price”, or “sign up this weekend and get an early bird discount”, you will come to me when you are ready. I don’t mind if sometimes people take a discovery session and then don’t commit to working with me until months later. Dropping the ball: This last is also one of the reasons that sometimes we drop off each other’s radar. Something that happened recently with an interesting connection I made, we talked about meeting for coffee, then life happened and the meeting never did. Only when she contacted me again on a completely different issue did we both realise we had been in touch before. So don’t feel you have been forgotten if you don’t hear from me, get back in touch and I will welcome the chance to talk.